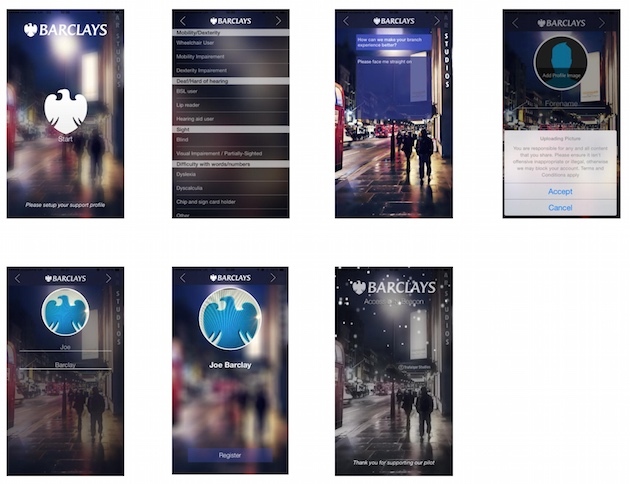 From tomorrow, Barclays Sheffield will trial its own Beacon service called Barclays Access, which will notify staff when a customer with an accessibility need enters the branch. Instead of having to state their requirements every time they do some banking, visitors will be able to opt-in to the service by supplying information about their requirements via an iPhone app. The app also allows customers to upload a photo, allowing staff to identify them as soon as they enter the premises. iBeacon technology uses Bluetooth to detect when a person using the app enters the building, which then alerts a colleague via an iPad at the front desk. While beacon technology will help provide faster and more personal service for customers with accessibility needs, the bank already has some ways to support those without a smartphone. Customers can order high visibility debit cards for easier identification and utilise the bank's audio-enabled ATMs simply by plugging in their headphones.